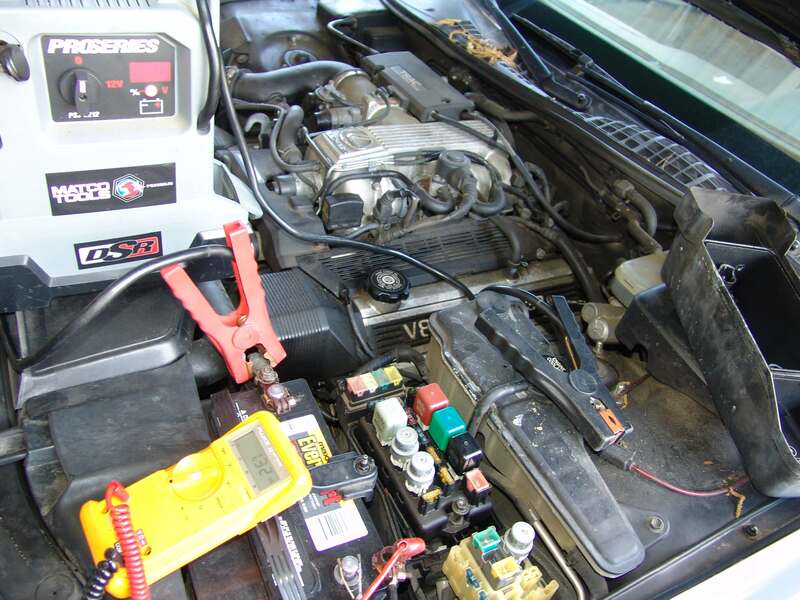 This 1994 Lexus LS400 came in with the complaint that the battery would go dead while the vehicle sat. The method in which I connect my multimeter has evolved over recent years into what you see below. 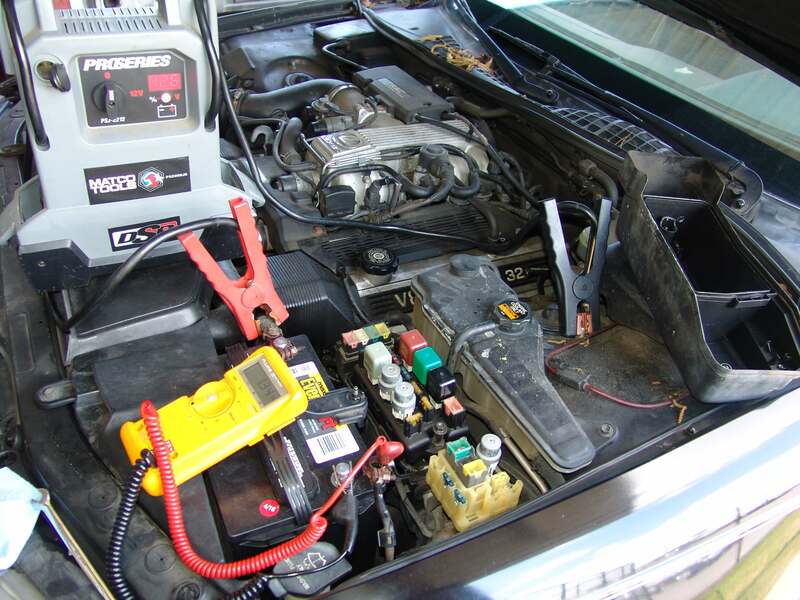 I start by connecting a battery jump box to the battery positive terminal and a good chassis or engine ground. 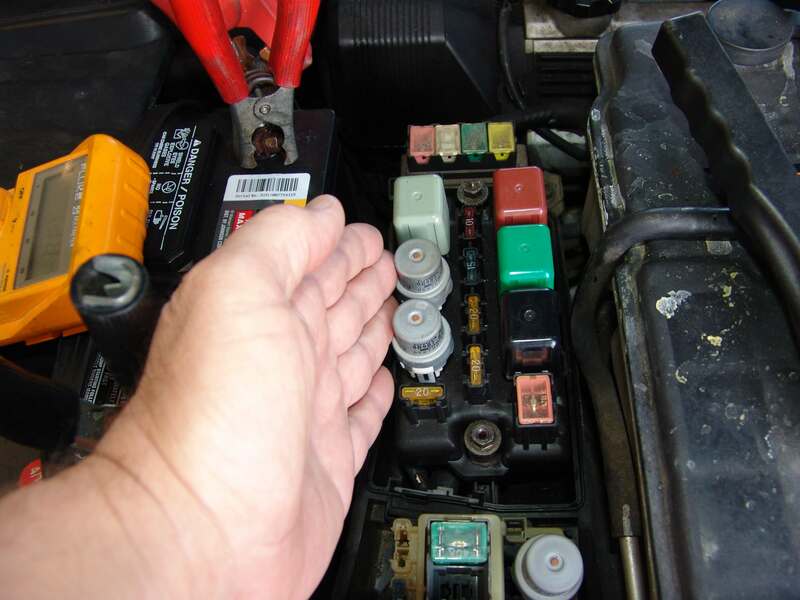 The next couple of pictures do not show the switch turned on but it has to be on during the process of disconnecting the negative battery cable from the battery and installing a multimeter in series in between the two. 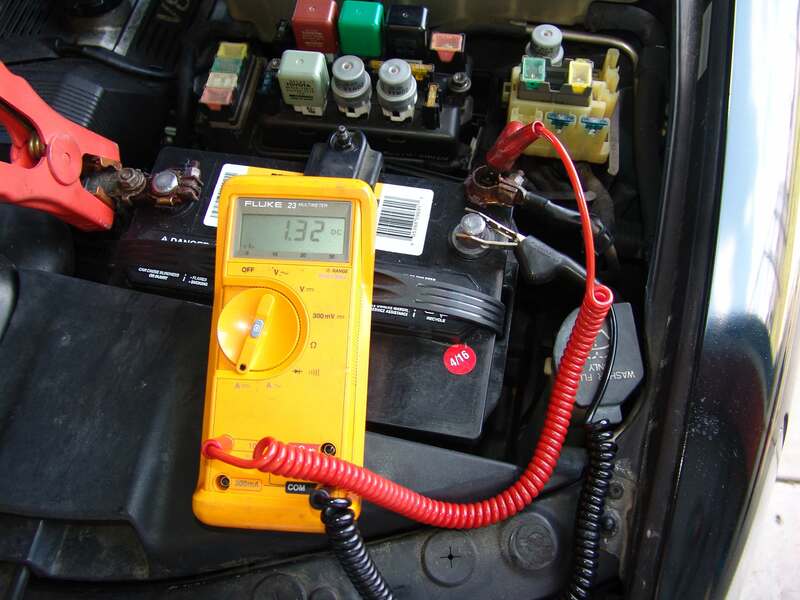 The multimeter also has to be setup to read amps. 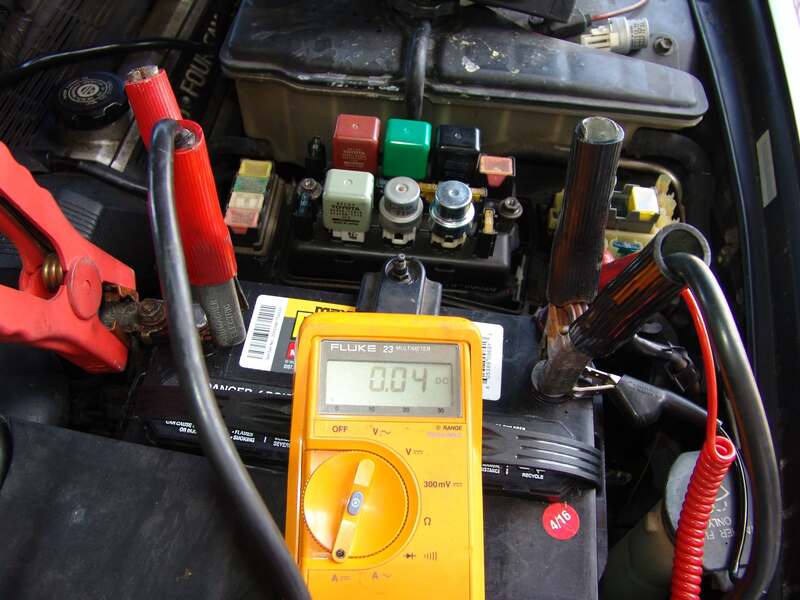 Once the meter is properly connected the battery jump box must be turned off and disconnected from the system. 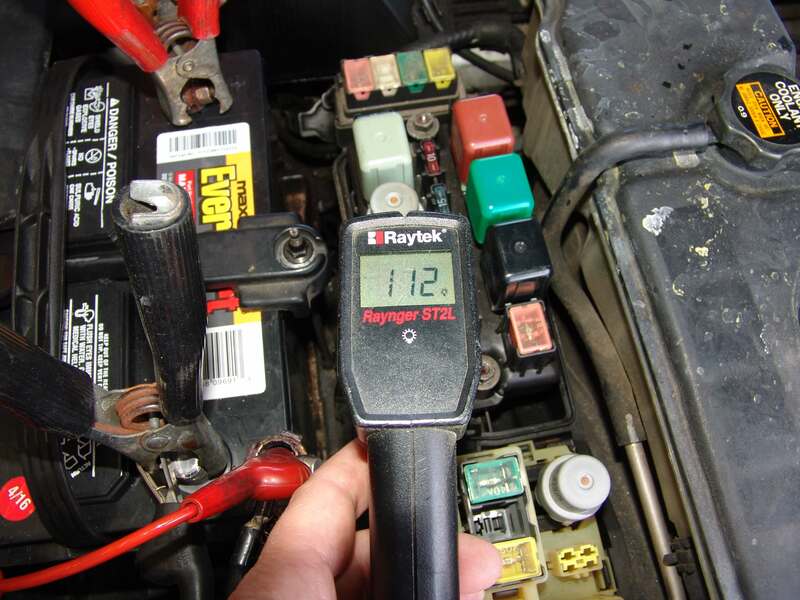 Now the actual battery drain can be seen displayed on the multimeter. 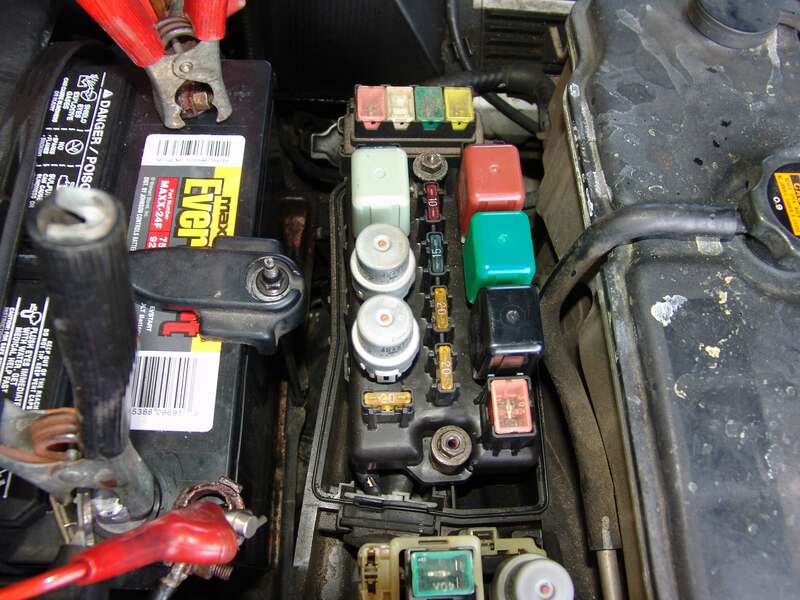 I had already removed the underhood fuse box cover in anticipation of beginning my testing for a drain at those fuses. A common simple test that I perform under these circumstances is to just touch the components to see if anything is warm. Heat is a byproduct of electrons flowing. There was an obvious problem felt at the lower of the two relays that I am touching. One hundred and twelve degrees fahrenheit is pretty warm for a relay that in theory has not been on for several hours. The highest temperature that I was able to see was 116° F.
The relay in question was listed as the EFI or Electronic Fuel injection relay. 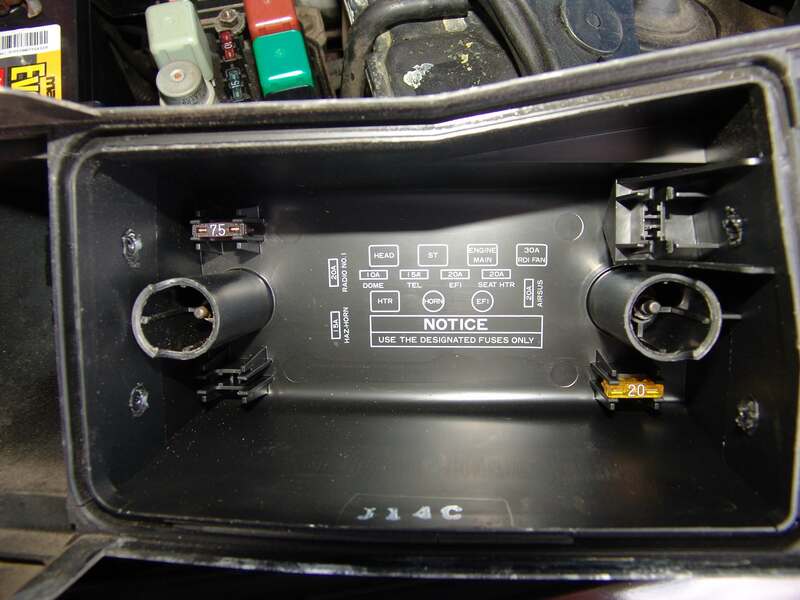 The new relay installed slightly right of center in the following picture and an acceptable drain reading of .04 amps. It actually went down to .02 amps after waiting for modules to go to sleep. In case you are wondering the industry accepted standby drain amount is .05 amps. Previous Previous post: Fitting a small wire to a large terminal.